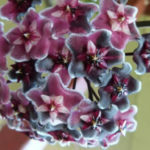 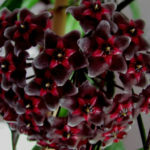 Hoya pubicalyx ‘Royal Hawaiian Purple’ is a fast growing, woody, epiphyte or scrambling shrub with pretty neat flowers. 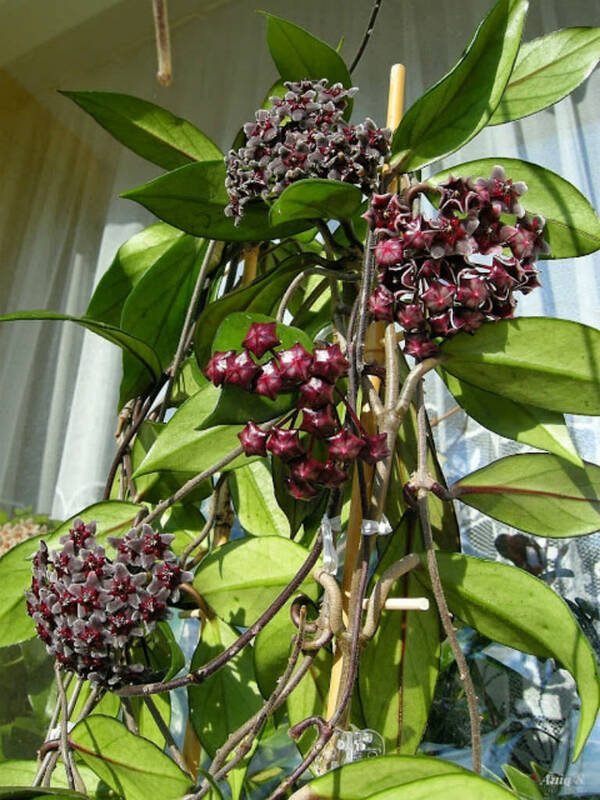 They are up to 0.4 inch (1 cm) across and comes in bunches of 20 to 40 hanging from along the stems. 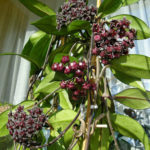 The bunches may be up to 4 inches (10 cm) across. 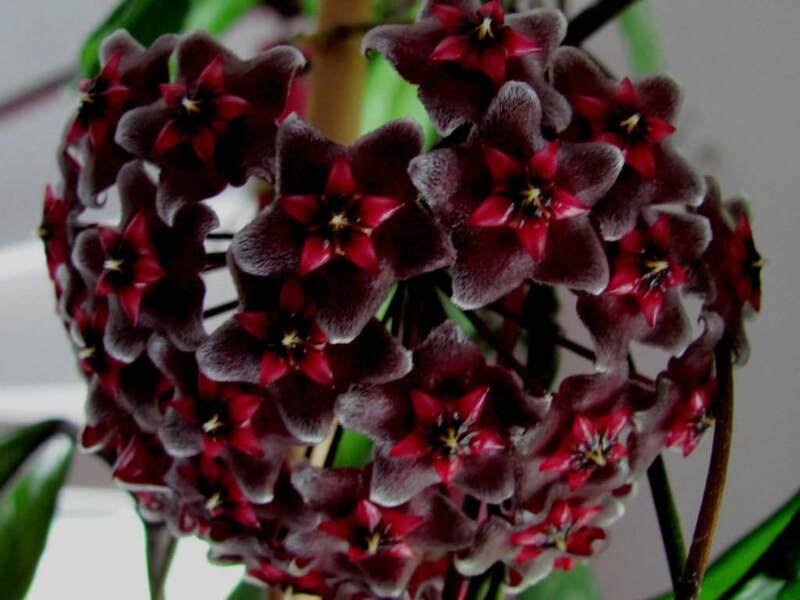 You can see clusters with pink-red flowers and also on the same plant you might see clusters that are almost black. 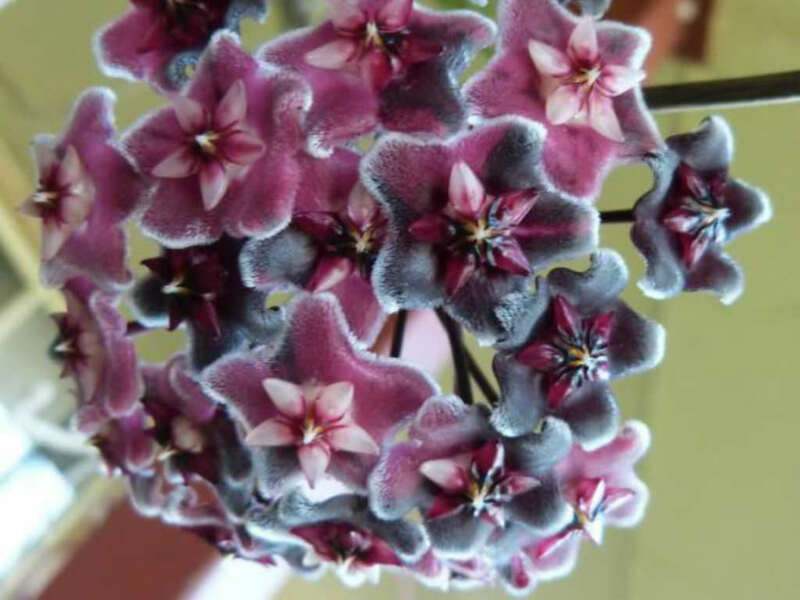 Some of the clusters are even mixed pink and black. 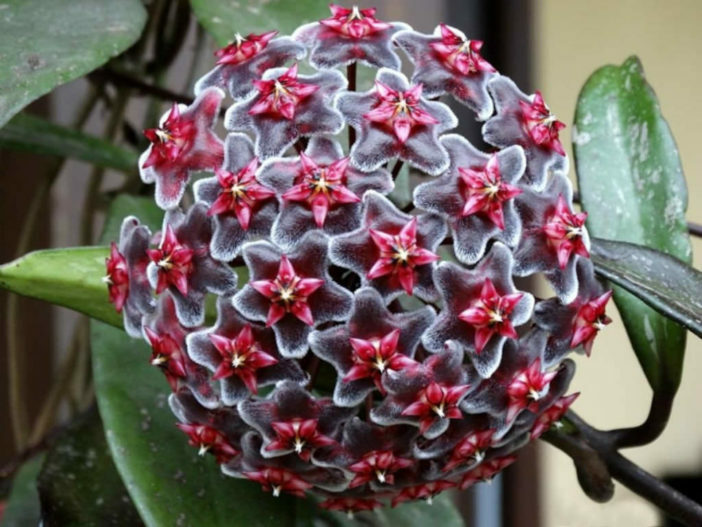 The narrow, up to 4 inches (10 cm) long leaves show some silvery-grey flecking patterns.